As a unit of the University of North Carolina Wilmington, CESTEM assists in fulfilling the University's mission to encourage public access to its educational programs and its commitment to regional service. CESTEM provides professional development opportunities to regional K-16 instructors and educational opportunities to regional K-12 students to improve the quality of pre-college science, technology, engineering and mathematics education. CESTEM is responsible for training K-16 teachers in Science, Technology, Engineering, and Mathematics content knowledge so they have the information to teach their students. The goal is for students to have the basic knowledge and preparedness for college level courses. 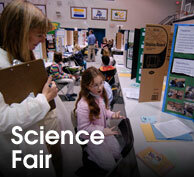 CESTEM strengthens the university's regional engagement and outreach activities by partnering with CAS faculty and local education agencies (LEAs), and through events such as the Southeast Regional Science Fair (about 200 elementary to high school students from 13 counties), Science Olympiad (about 800 regional middle to high school students), and SeaPerch (about 100 participants.) CESTEM also works with pre-service teachers providing strategies for integrating technology into their future classrooms. The Center is also actively developing the Technology Loan Program (TLP) where regional teachers and student teachers can borrow a range of STEM equipment for their classrooms. 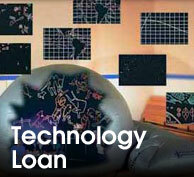 Please visit our Technology Loan Program page to view its hours of operation! 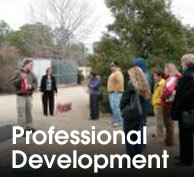 Hosted professional development (PD) programs and outreach activities and served 388 participants, totaling 3,346 of contact hours of instruction, with most awarded licensure renewal or graduate credit hours. Technology materials have been loaned to 90 unique teachers and 770 total teachers, impacting the education of about 13,000 students. Has developed and integrated a new database of TLP materials and posted to our webpage; additional grants have been written to further expand the contents of the TLP; and borrowers are more quickly returning for TLP items after initial checkout and experience. "Improving the science & mathematics achievement of North Carolina's youth by providing high quality professional development for their teachers."